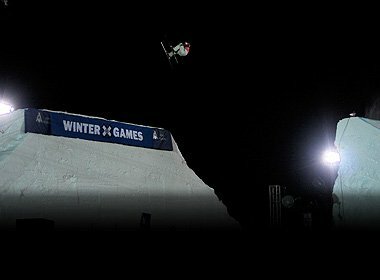 Day 3 of X-Games has come to a close, culminating with tonight&rsquo;s spectator-happy Big Air contest. 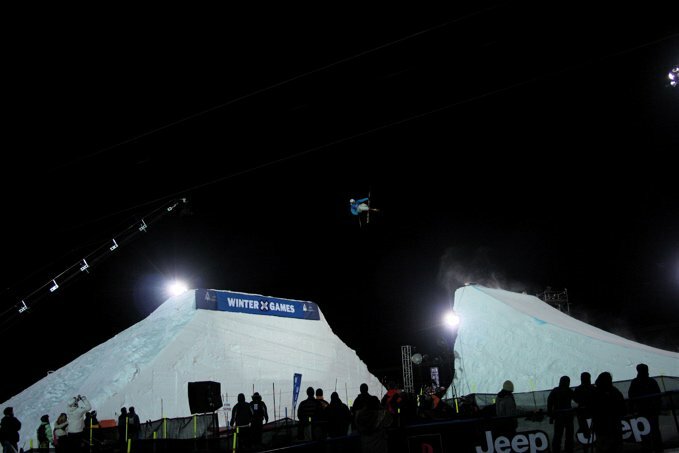 The jump has been in the works all week, going through numerous different stages as the builders and event organizers struggled to figure out how to make it as athlete-friendly as possible after a few of them complained about the height of the landing. 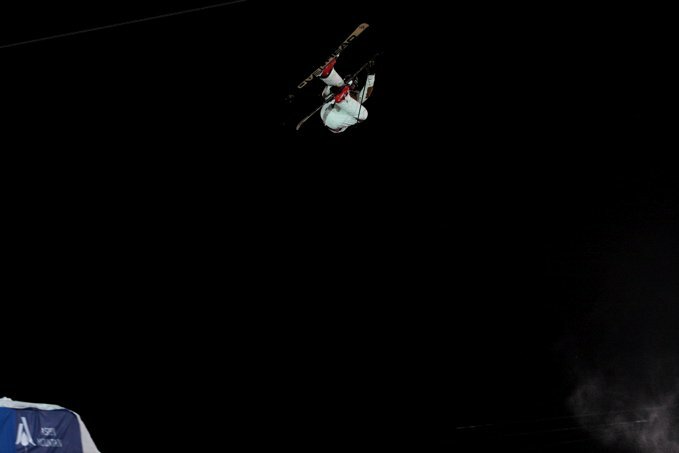 To be blunt, the jump appeared to be a lower-scale rip off of the Jon Olsson Invitational hit, complete with a step over with a gap in the middle of it. Of course, when attempting to emulate a jump that was designed by an athlete that will be actually be hitting it, one would think to simply ask him to pick up the shovel, but much to the disappointment of Jon, in the end he had little to do with it. 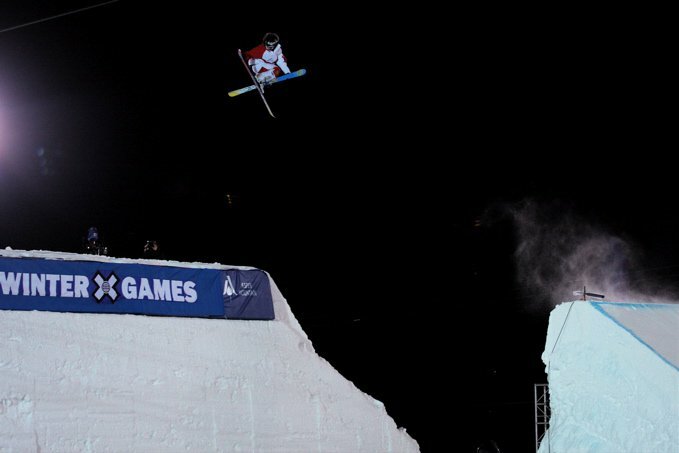 Regardless, the Big Air comp went off tonight under the lights in front of a jacked-up crowd who&rsquo;d just taken in the Women&rsquo;s Ski and Snowboard Superpipe finals and were ready to scream their heads off for the four riders that were invited to compete. Jon Olsson, Jacob Wester, Charles Gagnier and Simon Dumont squared off in head-to-head format and got two chances to take eachother out. A panel of judges weighed in with their two cents and in a unique situation, spectators there and watching at home were given the chance to vote via text message. If the two results conflicted, head judge Josh Loubek made the end call. Needless to say, it was a truly made-for-TV event. In the first round, the pairings were Charles vs Jacob and Simon vs Jon, giving the event somewhat of a North America vs Europe feel. Jacob was up first, and showed what a true pro he is by opting to continue in the event after he tweaked his knee pretty badly in practice. His first hit was a flawless flatpin 720 mute taken quite a ways down the landing. Charles answered with a switch 1080 octograb. Jump two saw Jacob step up his game with a kangaroo flip while Charles followed suit by taking it to 1260 even further down the landing. Once the votes were tallied, both the judges and crowd chose Charles to move into the finals. Good friends Jon and Simon squared off next, with Simon dropping in first with a massive cork 1080 mute. Jon, who was hoping to throw a hexo flip had the jump been bigger, opted to follow Jacob&rsquo;s lead with a kangaroo flip of his own. 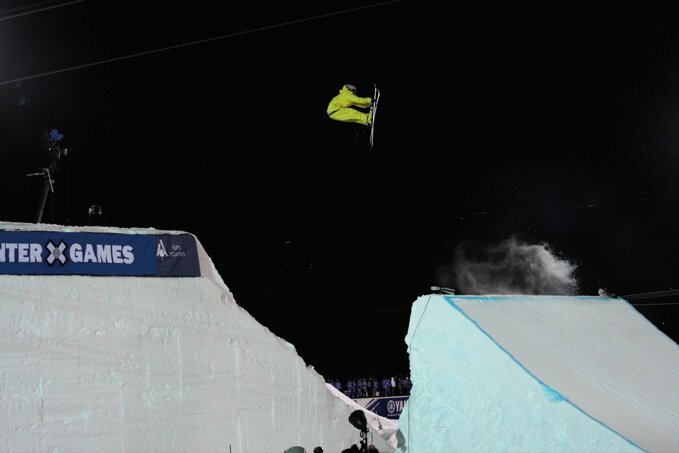 The two repeated their tricks in the second round, with Simon going a little smaller and Jon going a little bigger. The votes poured in and the judges chose Jon and the crowd chose Simon. The call then went to Loubek who stood by the judges decision of Jon, setting up Charles vs Jon for the finals. An intense game of rock, paper, scissors determined who dropped first, and Charles got the call. Charles repeated his switch 1260 octograb which Jon answered with another kangaroo complemented by an absolutely flawless landing. In the second round Charles threw down another 12 but sketched on the landing, leaving the door open for Jon. In a rare and wonderful moment of style taking precedence over spin-to-win, Jon dropped in and threw a textbook flatspin 5 with a nose-japan grab. The votes then came in and it was unanimous from both the judges and fans&hellip;Jon was the winner. Day 3 of X-Games 12 then called er a night, and prepared itself for the multitude of parties that are about to go down, most notably Tanner&rsquo;s Red Bull party to announce and promote his new movie Massive. If you&rsquo;re in Aspen, be there or be square. Good night!